How Far is Earthcon Beetle Orchid? At Earthcon Beetle Orchid wake up to lovely sunlight and fresh morning breeze blistering through spacious windows. Surrender to the enormity of the universe from the terrace. Reconnect with the inner self at the end of the day with well-designed studio and 1BHK apartments at very affordable prices, every single day. The project offers holistic, high quality, modern living spaces that come with dedicated green landscaping and children friendly environment all this are a mere stone?s throw from Delhi?s bustling city life at Knowledge Park III, Greater Noida by Earthcon Constructions. FloorWooden Flooring in Master Bedroom/Vitrified Tiles in other Bedroom/drawing/dining/ stairs and corridors with marble/kota stone flooring. At Earthcon, we believe in not just building sustainable infrastructure, but also in giving best service and quality construction. Therefore, when we envision a project, we go to great lengths to ensure that it is in harmony with the environment and is true to our customer’s expectations and satisfaction. We strive hard to design innovative residential and commercial spaces that are cost-effective and yet aesthetically designed with the best construction quality. We aim to find the perfect balance between form and function so that our customers can lead an enriched life that they have always dreamed of. Established in 2005, Earthcon is a real estate project designer and developer with an environment focus. It is one of the few firms in the country today that follows sustainable development and eco-friendly practices. In a time where environment-friendly measures are becoming increasingly necessary, Earthcon’s sustainable real estate development is the ideal solution for truly holistic growth. Earthcon was founded in the year 2005 by Mr. Shadab Khan with the vision of providing value housing in Tier I and Tier II cities. The company soon diversified its operations into development of commercial spaces and holiday homes in addition to residential projects. It has grown significantly over the years as an environment-focused construction and real estate developer, and has carved a reputation for delivering high-quality, eco-friendly developments on time. It is known for its superior quality and business practices and was also awarded the Best Developer of the Year award by the Builders Council of India. The company has successfully delivered over 1.5 million sq. ft. of residential & commercial spaces and holiday homes. Currently, it also has over 10 million sq. ft. of area under development. 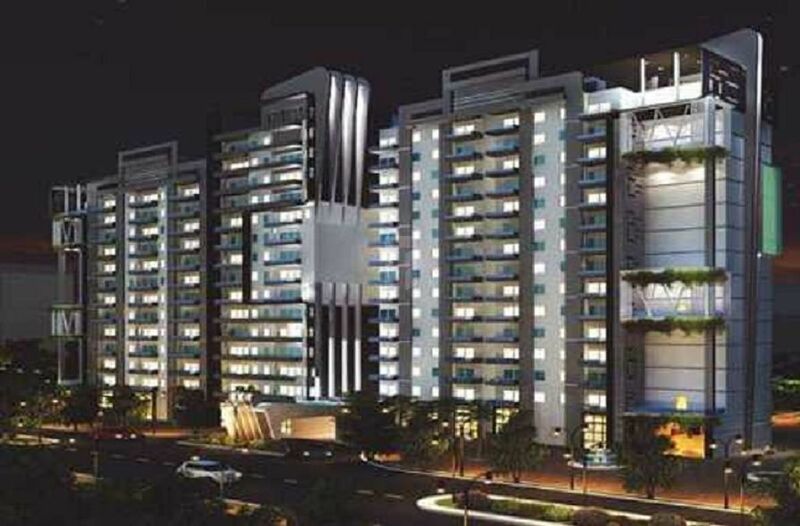 Earthcon’s completed projects include: Casa Grande, Yuvraj Residency, Naini Kingdom, Naini Paradise and more. In addition, the Company is currently developing residential and commercial projects in Delhi, Noida, Greater Noida, Dehradun, Moradabad, Aligarh, Bhopal, Sambhal, Lucknow and Nainital. At Earthcon, our first and foremost value is to put our customers at the forefront of our efforts. We work to build our customers’ dreams. From a dream to development, research and after sales to successful and timely completion of all our projects, we put our customers first. We keep them thoroughly updated about the progress and consistently work to achieve optimum customer satisfaction even when it means going an extra mile. For customers unclear about their requirements, we take the effort to delve further into the process and identify exactly what they want. In the end, our projects reflect their dreams, requirements and vision. We also adhere to the timelines set by our customers, to ensure that they get what they want, when they want it and exactly how they want it. At Earthcon we believe that innovation is the most important aspect in creating value. This is especially true in the current Indian real estate market, which is seeing an increasing number of innovative developments, both residential and commercial. In fact going by the trends, innovation is not just a luxury, but a necessity for standing out. That’s why, our emphasis is on out of the box innovative ideas and technologies. We remain flexible enough to not just adapt to a constantly changing real estate market, but also to lead the change. Innovation in technology and design is vital in real estate, but it loses its worth if it isn’t backed by quality. At Earthcon, quality is paramount. From the first brick laid to the final coat of paint, quality in every aspect of each project is of key importance. Regardless of whether we are working on a mid-market residential complex or a cutting-edge commercial development, every customer is of utmost value and is given the highest-quality results in every possible way. Integrity is the core of our value system. We believe honesty and strong moral principles are the most important pillars of any successful business. Our focus on integrity remains steady at every step of our projects. Irrespective of what project we undertake, we ensure that our customers experience the highest levels of professional conduct. More than that, we ensure that our professionalism is reflected in our actions. We deliver what we promise without any compromises.